My Hypnotherapy Marketing eBook has been developed over the past four years and will give you one of the most up to date guides for creating a successful hypnotherapy business. 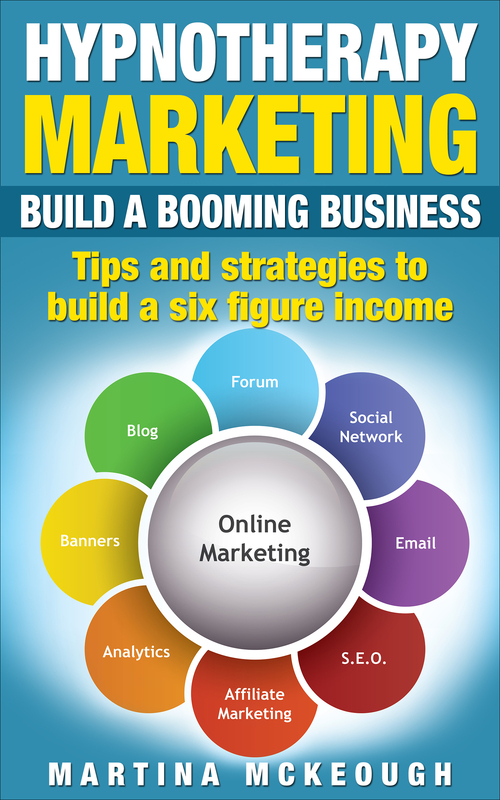 This manual is 2015 ready and jam packed with all the latest ways in which you can create additional revenue and bring in more customers to your business over the coming year. Included in the eBook are the very latest updates that Google has made to its algorithm which will help you get the best ranking that you can on the most popular search engine in the world today. The world of marketing in the digital age may be complex but with the guidance contained in this manual you can get all the information that you need to build a thriving business. The true economic realities of running a Hypnotherapy businesses today make sobering reading. Over 85% of newly qualified Hypnotherapists will have given up their new career within one year of qualifying. Of the remaining hypnotherapists who are out there practicing on a daily basis only 3% are seeing more than 15 clients per week. This means over 97% of hypnotherapists working today are barely making a living or are working part time. The aim of this Hypnotherapy Marketing eBook is to guide you to a place in the top 3% of therapists. There a a number of reasons why the majority of hypnotherapists today are unable to make a living. It is not because the clients are not out there it is because the therapists are unaware of how to make themselves visible to them. Without some business knowledge it is impossible for those clients to find you and if they unable to contact you then you simply can’t make a living. Some therapists will throw money at so called SEO consultants to try and help them with their rankings but in far too many instances those consultants do not deliver or rip you off. In order to really make it in this new digital era you need to take ownership of your business and learn enough so you can do it yourself or have the knowledge to be able to manage the people doing it for you. This Hypnotherapy Marketing eBook contains over 100 pages of strategies and techniques which you can actively use to build your business today. Whilst this eBook is aimed at Hypnotherapists any therapy professional will be able to use the techniques within it to attract customers and make a profitable business. SEO, website design, social media and networking techniques are common for all businesses and therefore the guidance given will be easily transferable. All the information given in this guide has been thoroughly tried and tested not only in my business but in those of my students as well. When you understand exactly how all these elements come together then you will have a large number of powerful techniques which will enable you to really build a successful hypnotherapy business. My aim with this Hypnotherapy Marketing eBook is to help you achieve a place in the top 3% of earners in your profession and not floundering as one of the 97%. Each section of this manual has been designed to help you attract a steady stream of full price customers to your practice (I do not believe in discounts). If you follow the advice given in the Ebook then expect more client calls and conversions. Our Hypnotherapy Marketing eBook is available to download today as a pdf document which will be delivered directly to your computer. 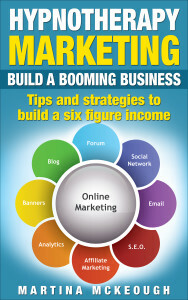 Start building your booming business now.